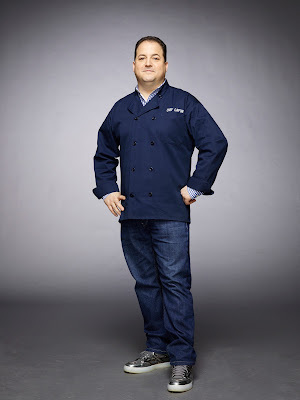 Food News: Meet Chef Josh Capon's at Macy's on 1/19! Note: The writers of this blog have been compensated by Everywhere Agency for the information contained in this post, but any thoughts and opinions expressed are unbiased and uninfluenced. Happy 2018 brunch fans! Brandy has decided to kick off another year of fantastic culinary adventures with a spectacular event at Macy's on State Street and she wanted to make sure all her followers got the details so that they could join her. On Friday January 19th at 12pm, the Macy's Culinary Council will welcome Chef Josh Capon to the demo kitchen on the 7th floor for an afternoon of fun and food. Chef Capon is the genius behind several highly acclaimed New York and South Florida restaurants, as well as the host of Spike TV's Frankenfood (which filmed right here in Chicago) and a four time winner of Rachel Ray's Burger Bash. Those who attend the event are promised an earful of Chef Capon's best kept culinary secrets as he walks everyone through some of his award winning recipes. The audience will also get to sample his food in real time and will be provided with recipes for all the dishes so that they can try their hands at cooking like a champ. After the demo, attendees will be invited to meet Chef Capon in person down in the Lower Level kitchenware department. Any purchase of $30 or more will enable guests to not only chat one on one with Chef Capon, but will also get them a $10 Macy's gift card and a special surprise gift! The best part of all is that the demo (and the three course lunch served at the demo) is completely FREE and only requires an RSVP by calling 1-800-329-8667. Make sure to visit the official event website for more details. Hope to see you brunch fans there!